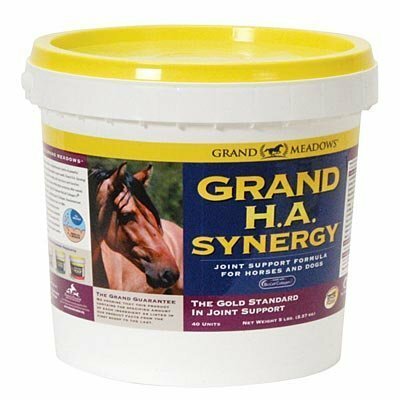 Grand HA Synergy (Grand Meadows) powder provides a comprehensive matrix of powerful ingredients offering a new dimension in joint health. Grand H.A. Synergy provides crucial support for healthy joint structure and function unmatched by any other products. While other products offer merely one-dimensional support. Triple US Patented BioCell Collagen ll is a ''Super Ingredient'' containing type ll Collagen, Depolymerized Chondroitin Sulfate and Hyaluronic Acid at 1/90th of its original size for maximized proven absorption. This potent formula is blended with effective levels of Glucosamine HCL, MSM, and key co-factors that combined, match all of the elements found in healthy articular cartilage.